A behind-the-scenes look at Game Of Thrones and a blow-by-blow account of the virtual production techniques used to create Jon Favreau’s The Jungle Book are highlights of the HPA Tech Retreat which debuts in the UK next month (July 13-14). Trade body HPA, which recently rebranded from the Hollywood Post Alliance to the Hollywood Professional Association, is targeting facility engineers, CTOs and post producers to a local reworking of the conference and networking event, which it has organised in the US since 1993. It arrives in the UK at an auspicious time, given the country’s explosion in staging and post production of studio features and high-end TV drama. “It’s an acknowledgment from the powers that be in LA that UK houses have a lot of influence on the worldwide stage,” said Framestore CTO Steve MacPherson. 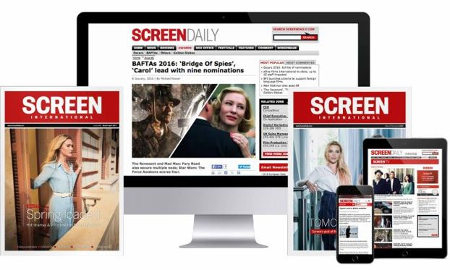 It was the merger last May with technical standards body SMPTE (Society of Motion Picture and Television Engineers) – and in particular the influence of SMPTE’s 500-plus UK members – which drove the decision to launch in the UK. The North American retreat is located in Palm Springs. The UK venue is Heythrop Park, Oxfordshire. Steve Beres, HBO’s vice-president for west coast media and production operations, will open the two-day event with a spotlight on the latest series of fantasy epic Game Of Thrones. This will include an explanation of the show’s use of Dolby Atmos object-based audio and the challenges delivering this to the home. Shot in Belfast, the post-production for Game Of Thrones is shared roughly 50/50 between UK and LA facilities. Also on the agenda is a focus on Disney’s The Jungle Book, which mixed principal photography on soundstages in LA with CG characters and environments created by MPC in London (and primates handled by Weta Digital). The conference will also address the future of collaborative post, which could lie in the Cloud thanks to its inherent cost savings. Every piece of media including dailies, rough cuts, archive and even final content delivery can now be managed across continents from remote servers. The noise around virtual reality will not be ignored. “Studios are taking it seriously as an opportunity for additional revenue streams,” said Simon Gauntlett, CTO, Digital TV Group. “There are production challenges like where to hide crew and how to direct a viewer’s attention. There are also the purely technical issue of how to deliver content to different devices.